Why is your method of hydraulic “cold-pressing” SO much better than regular juicing methods? In light of this, we’re going to give you all the deets today… because the fact is, NOT all fruit and veggie juices are created equal. 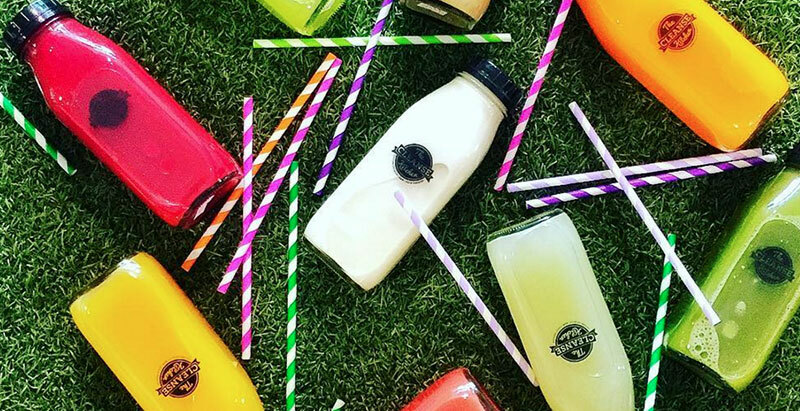 So what’s the big difference between Cold Pressed and Conventional juicing methods? Conventional juicers, e.g. centrifugal juicers like you’ll find in 98% of local juice bars or cafés, rely on speed and heat to extract the juice. Whilst this process is quick and easy, the friction creates oxidation and separation, destroying much of the nutritional content of the juice. It looks all foamy and brown really quickly.. you know the stuff I’m talking about! Our COLD PRESSING process is a much slower method, gently grinding thewhole raw ingredients and then feeding them through a state-of-the-art,hydraulic press that applies tremendous pressure (without heat, speed or friction) to extract every last piece of nectar from the pulp. It takes ALOT more produce to make the same amount of juice and the result is an ultra-smooth [pulp-free] juice with distinct flavours that pop. It’s full of raw goodness, bursting with enzymes. Yum, right?! Kept refrigerated, you’ll have raw, unpasteurised, ‘living’ juice that stays fresh for at least 3 days – it’s the only type of juice to have if you want to flood your cells with nutrients and enzymes, feel lighter, more energised and boost your immunity. So for your daily fix of liquid sunshine, which would you prefer? We created The Cleanse Kitchen because not only are we avid juice fanatics ourselves, but we wanted to give people easy access to the benefits of deluxe, organic, cold-pressed, raw, living juice in premium grade recyclable glass bottles. Slightly, but your getting a “Rolls Royce” product. You only need to try it once to taste and feel the difference! Hand-preparing our Cleanses and Juice Packs is a process that takes a wheelbarrow load of raw produce, precious time and lots of love and care…but we wouldn’t do it unless we could do it right! Each 500ml bottle of our amazing juice contains 1 to 1.5 Kilos of fresh, organic, locally sourced fruit and vegetables. That means you’re getting a mega-dose of nutrients to keep you feeling refreshed and bursting with energy! We dig juice, and we dig wholefoods, so if the only way to get an extra hit of wholefoods is to throw it in your juicer at home, we think you’re still on the right track. Our tip: if you do make your own juice with a conventional juicer make sure you drink it straight away so you can get the most benefits out of it before it begins to age.